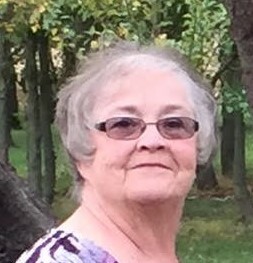 Sherry (Wilkinson) Springer, 72, passed away early Monday morning, November 5, 2018, at her residence following an extended illness. She was born in Muncie,, on January 9, 1946, the daughter of Robert Edward and Anna Rosemary (Weaver) Wilkinson. Jerry Lee Springer on November 13 ,1965, and he survives. Mrs. Springer was a homemaker, a former member of the Selma J.C.’s Club, and attended the Parker City Church of the Nazarene. She enjoyed taking trips to various cabins in Pigeon Forge and cooking. Some of her specialties included, sugar crème pie, BLT’s and chicken casserole. Mostly, Sherry treasured being with her family doing activities with her children and grandchildren. She is preceded in death by her parents; sister-in-law, Irene Wilkinson; brother-in-law, George Roberts. Funeral Services will be held on Saturday, November 10, 2018, 11:00 A.M. at the Parson Mortuary with her great nephew Jayden Pfleeger officiating. Burial will follow at the Mt. Tabor Cemetery. Friends may call at the Parson Mortuary on Friday evening, November 9, 2018 from 4:00 P.M. until 8:00 P.M. and again on Saturday November 10, 2018, from 10:00 A.M. until service time. Memorial contributions may be made to the Mt. Tabor Cemetery 8504 Grandview Dr. Yorktown, IN 47396. The family would like to extend a special thank you to her care giver, Jamie, and Susan and the staff of the Premier Hospice Group.